I have always been interested in the videography field and have recently been taking many online classes to learn how to use my photography camera for videos. My family has been very patient with me while I use them for practice. Although I absolutely love the still images of photos I take of my families, what can be better than the real-life motion and the little voices of your children, captured by film. There is something about these family films that really pull at my heartstrings. I remember, back in my childhood, my mom or dad would lug around this huge camcorder to every vacation, birthday party, or special event we had. I have grown up watching these home videos and love showing them to my own kids. There are so many great memories that I may not have remembered if it wasn't for my parents filming them. Nowadays, most people don't even think to record those special moments in our lives. Some people may take out their phones and record little snippets of everyday life, but often times, these will get lost or deleted. I am able to come into your home, or to a special outdoor location, and document you and your family as you create new memories. This film will be professionally edited and set to the perfect music to help tell your unique story. By hiring me to capture those moments, it allows everyone to be in the film so mom or dad do not have to worry about holding the camera. The following video is of my own family. I thought it would be very special for my kids to look back on this one day of their dad just hanging out at home spending time with them. If this video makes you tear up, I'm sure you could only imagine what it would be like if it were your own kids. Click on the link below to watch! Lifestyle photography sessions are a growing trend that more and more families are wanting to take part in. This type of family photo session is a great way to capture some of the more intimate moments between you and your family. The photographer will come to your home and document a part of your day as you spend quality time together reading books to your kids, playing with toys, baking cookies in the kitchen, having some bubble bath fun, or just relaxing and cuddling on the couch or in your bed. I have always been so drawn to lifestyle photos and have finally decided to start offering this type of session to families in the muskegon, grand haven, holland, and grand rapids areas. I had the best time with the Brown Family in their beautiful Muskegon Michigan home! 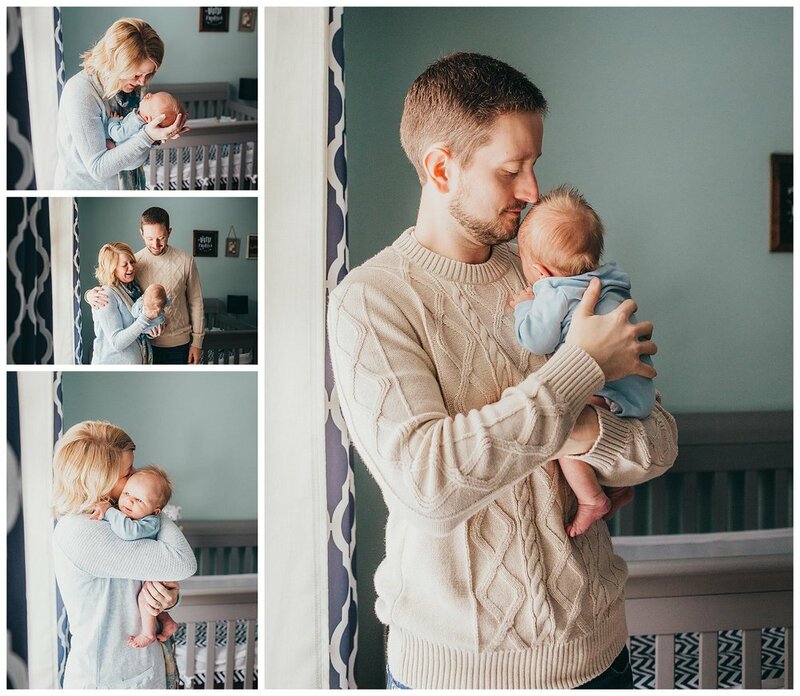 They recently had a baby boy in December and I was so happy to come and take photos of this exciting and memorable time in their lives. The big brother Jack was such a joy to be around and always had such a huge smile on his face. He loved playing with his cars and trucks, reading books, and most of all he absolutely adored his baby brother Reid. Some of my favorite photos from this lifestyle session are the ones I captured of big brother holding baby Reid and loving on him. If this looks like something you would love to do with your family I am offering them to you in the month of February 2019 for $50 off. Please contact me and mention the blog post for the money off.